It all comes back to us- our culture, our art and our history, right when we visit a place like this- The Amer palace, stands proudly 11 kilometers from Jaipur, Rajasthan in a small city namer Amer. This beautiful piece of architecture is made of red sandstone and marble and it portrays Hindu-style elements of art. The palace was the residence of the Rajput Maharajas and their families. It is one of the most preserved historic locations in India and an attractive and opulant one at that. As we enter, we are greeted by large ramparts and series of gates and cobbled paths. 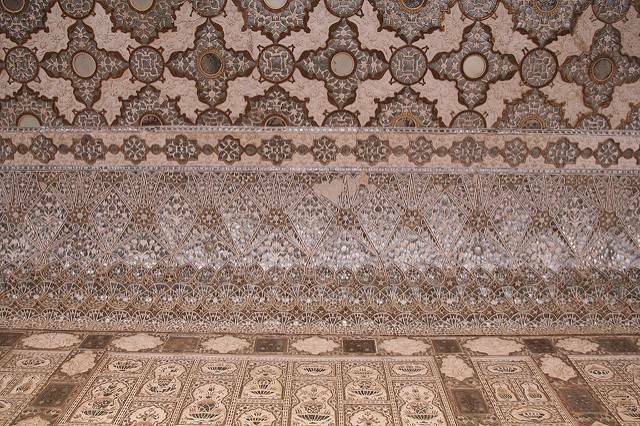 Amer palace is massive in size with various types of structures within, like: the Diwan-e-Aam, the Diwan-e-Khas, the Sheesh Mahal or Jai Mandir and the Sukh Niwas. When you go there, you can very well imagine the luxury in which the kings lived there, with a beautiful view from the palace overlooking the Maota Lake. One fact that people usually don’t know about this place is that this palace and Jaigarh Fort are considered one complex, as the two are connected by a subterranean passage. In addition to the exceptional architecture, this palace gets much more interesting through the various stories associated with this place: which, the guides will be more than happy to tell you once you visit!